Oshawa will host a unique Christmas concert to benefit the St. John Ambulance Therapy Dog program next month. Durham’s Ron Moore of the television show The Church of Elvis will present his 15th annual Christmas concert. He will sing some Elvis Presley’s Christmas favourites, as well as songs from Bing Crosby, Andy Williams, and Perry Como. Moore is joined by Lorraine Davies covering Karen Carpenter even David Bowie. The Durham Regional Police Choir will also be on hand to sing Carols of Christmas. Christmas joy, and to help fill the overwhelming requests for certified dog therapy teams. These teams help those suffering from PTSD, and other emotional or physical trauma. This includes seniors, college students, children, and first responders such as police, firefighters, paramedics, and military personnel. 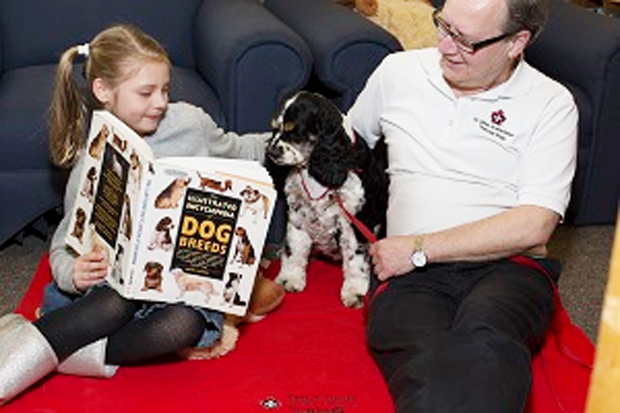 The dog teams are primarily graduates from the St. John Ambulance Dog Therapy Program. 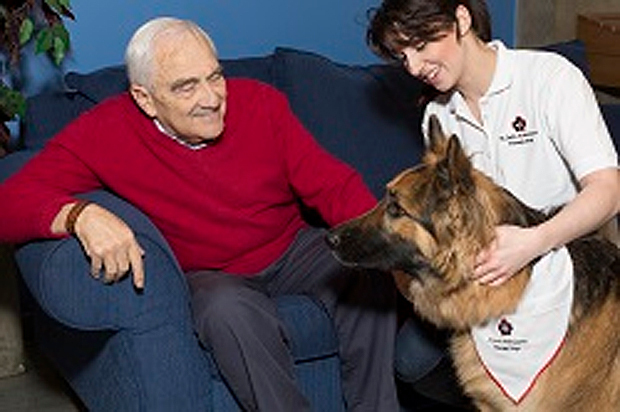 After 20 years of service, St. John has engaged over 3,354 therapy dog volunteers and dogs. Many of these therapy dogs were, at one time, rescue dogs. The concert will take place at Trinity Church, 900 King Street East in Oshawa from 7 to 8:30 p.m. Tickets for general admission are $12. For more information, visit the event page on Facebook at https://www.facebook.com/events/2190315237874506/.